List of countries available: ・Japan ・Korea ・Singapore ・Malaysia ・Hong Kong ・Laos ・India ・Taiwan ・Philippines ・Cambodia ・Macau ・Nepal ・Australia Data Usage:3 GB of high-speed 4G/3G internet data. 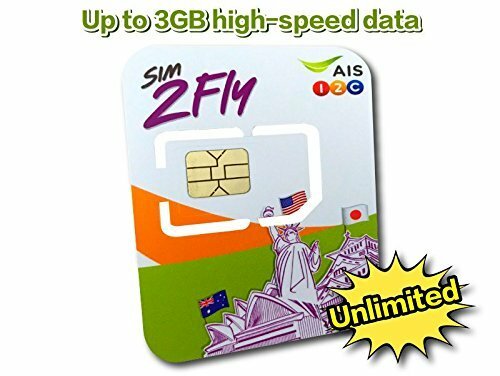 After 3 GB, customers can still use the internet at throttling speed of 128kbps until the 8 days period expires.How to Use:Simply insert the SIM card, turn the phone on and use any internet application to initiate data transfer. The system will activate the SIM card automatically. Please ensure that your data roaming is "on" on your phone.